ConnectIt-Workflow QuoteWerks Post Lock Updates allows the QuoteWerks user to update Header fields even though the Document has been Locked. 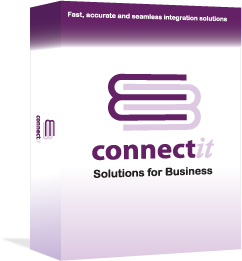 The ConnectIt-Workflow Post Lock Updates utility is highly configurable, allowing the individual QuoteWerks user to specify their own set of fields and settings to update Documents. Saves the very manual process of unlocking, saving, updating, re-locking and then finally saving the Document. Saves duplication of the approval process for non-critical updates to a Document. May by configured on a User-by-User basis so that only certain Users are able to make certain changes post locking. Allows configuration of which Document Header fields to update on the QuoteWerks document on by individual user. Allows for plain text, numeric, date and F2 Lookup selections of various fields. These online demonstrations illustrate how, using the ConnectIt-Workflow software, users‘ benefit from the efficiencies and the unique ways of working using the QuoteWerks software that the Post Lock Updates module introduce. Please click on the player and images below to view demonstration videos of the ConnectIt-Workflow Post Lock Updates utility for QuoteWerks.